Here in the Pacific NW, we have had a crazy winter! As in no winter. Our weather could definitely be compared to Northern California this year while the rest of the country has been bombarded with ice and snow. I have loved all of the extra vitamin D but probably shouldn’t as I’m sure that it’s a sign of global warming. Our environment has been tricked into early flowering. So, while I was out working in the yard last weekend (getting a sunburn, what??) I noticed that my rhubarb has already grown large enough to harvest! 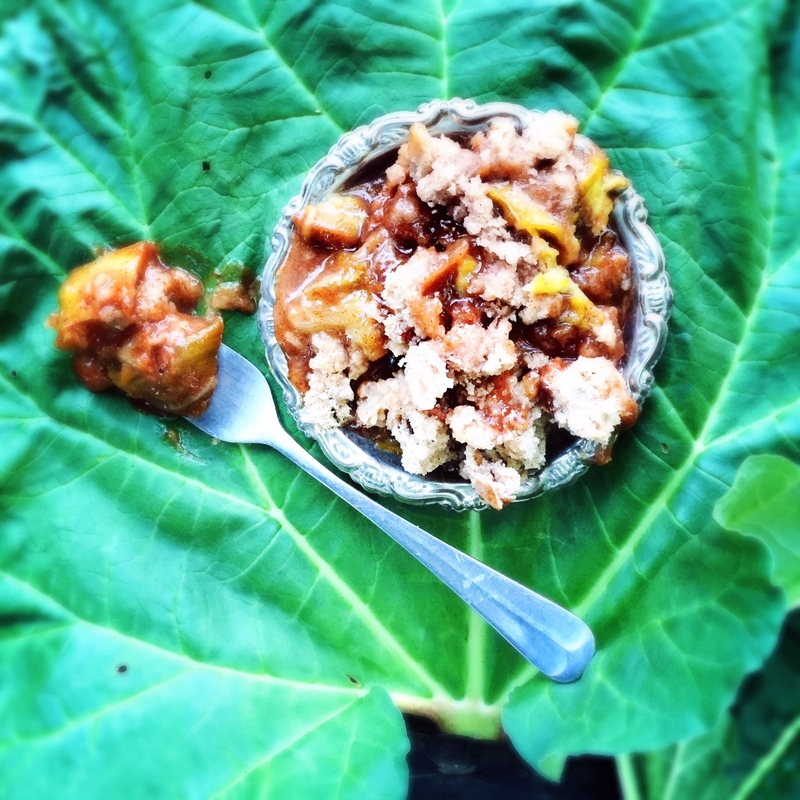 One of the easiest things for me to do with rhubarb is to throw together a Rhubarb Crisp. 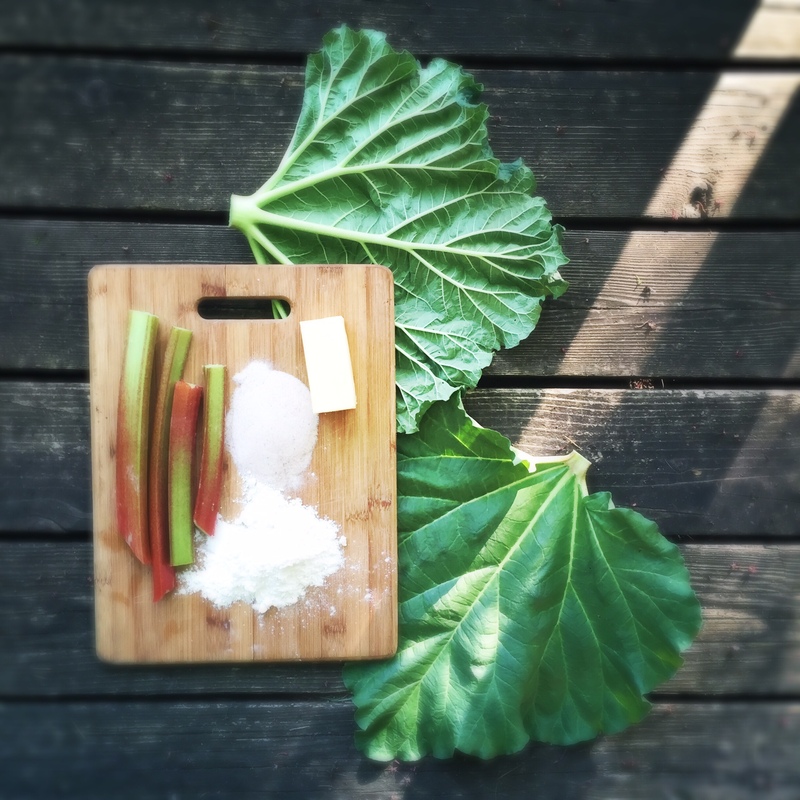 As I began to cut the rhubarb into pieces the smell shot through me and gave me chills. I don’t know what it is about it but rhubarb smells and tastes amazing. There truly is nothing like it. This is probably one of my most simple recipes. Mix sugar, cinnamon and mace together in medium bowl. 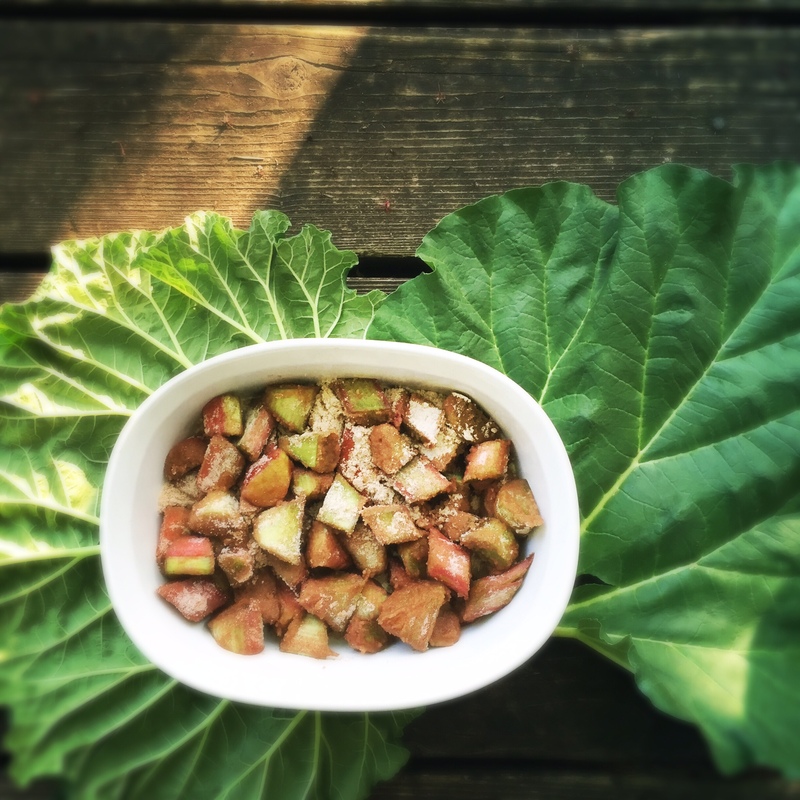 Place cut rhubarb into separate medium bowl. Pour half of the sugar mixture on top of the rhubarb and mix together. Place sugar/rhubarb mixture into small casserole or other baking dish. 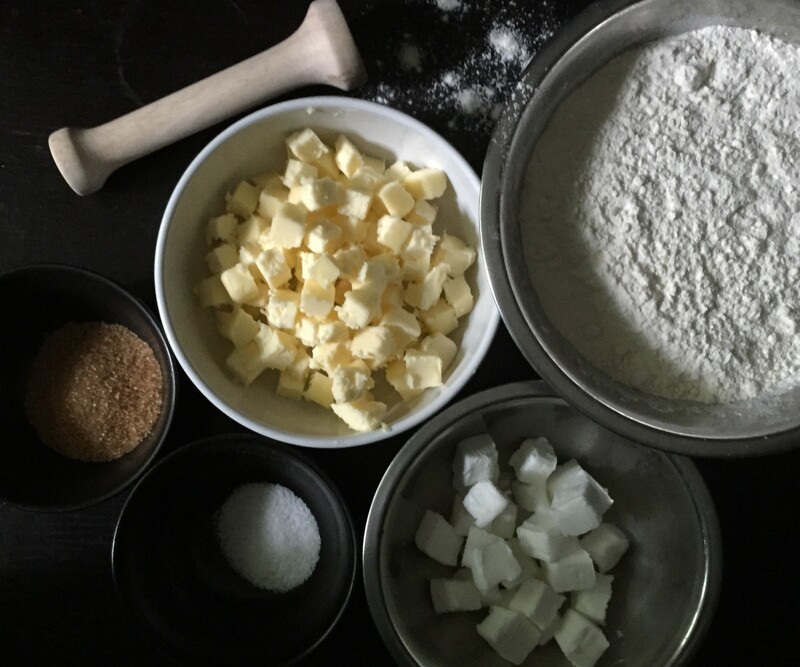 Add flour and salt to remaining sugar mixture and mix until combined. Add butter with a pastry cutter until it has pea-sized clumps. 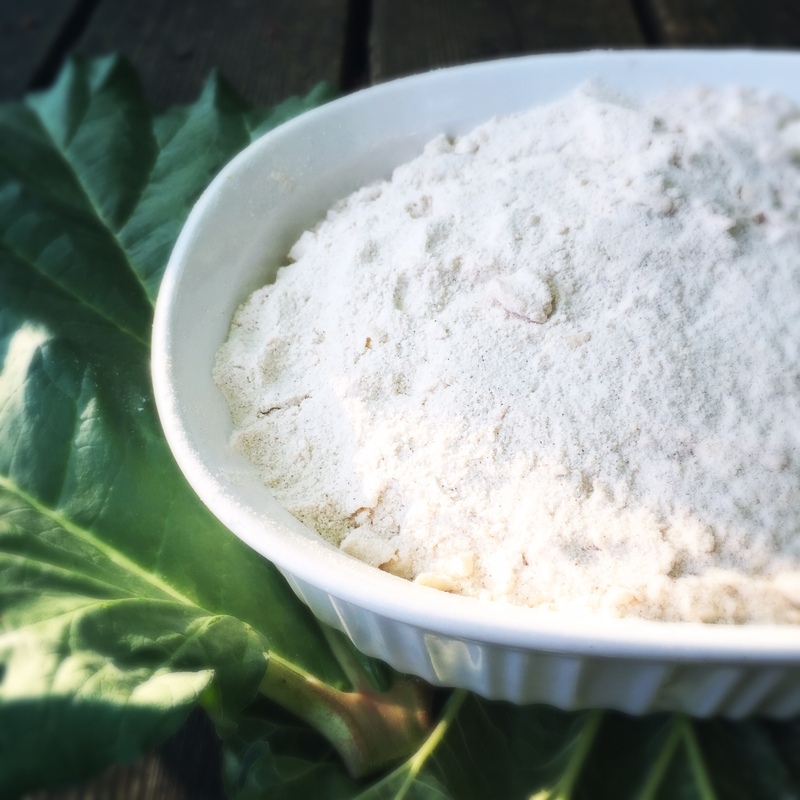 Pour flour mixture over the top of the rhubarb mixture and spread evenly to make a flat surface. 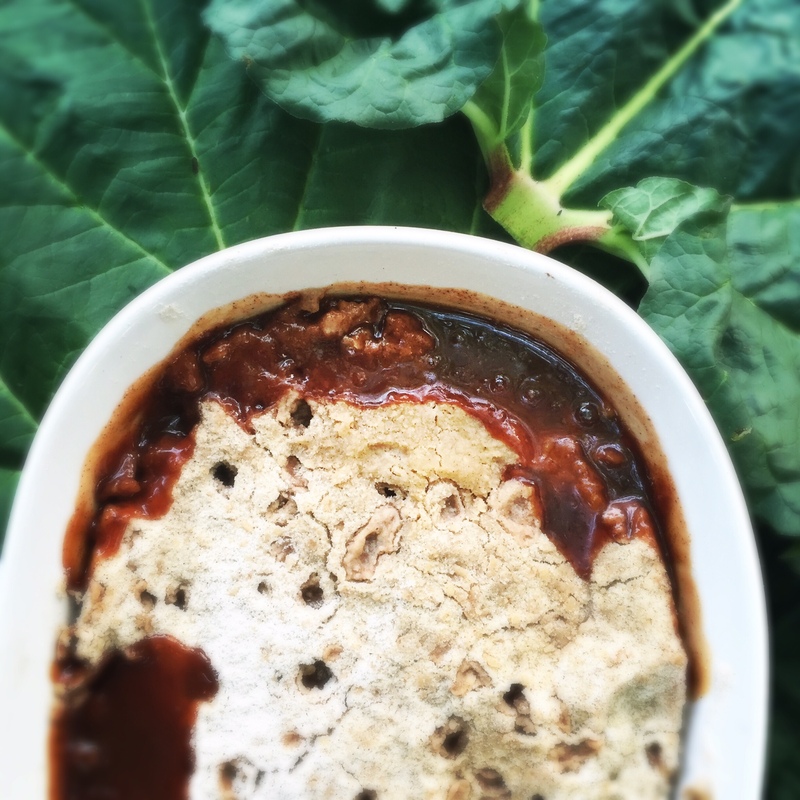 Place in the oven and bake for 40 minutes or until the top is golden and the rhubarb is bubbling. Warning: This recipe has a TON of sugar and sometimes I have a little trouble sleeping if I eat it right before bed! However, it’s so good that one sleepless nice is worth it. Sounds so good! I love rhubarb! I’ve never had rhubarb before! I’ll look for some at the market! Lovely looking recipe! Just to make sure you know, though rhubarb is really tasty, do not eat the leaves. They are poisonous. I just saw the comment and wanted to make sure you knew that! 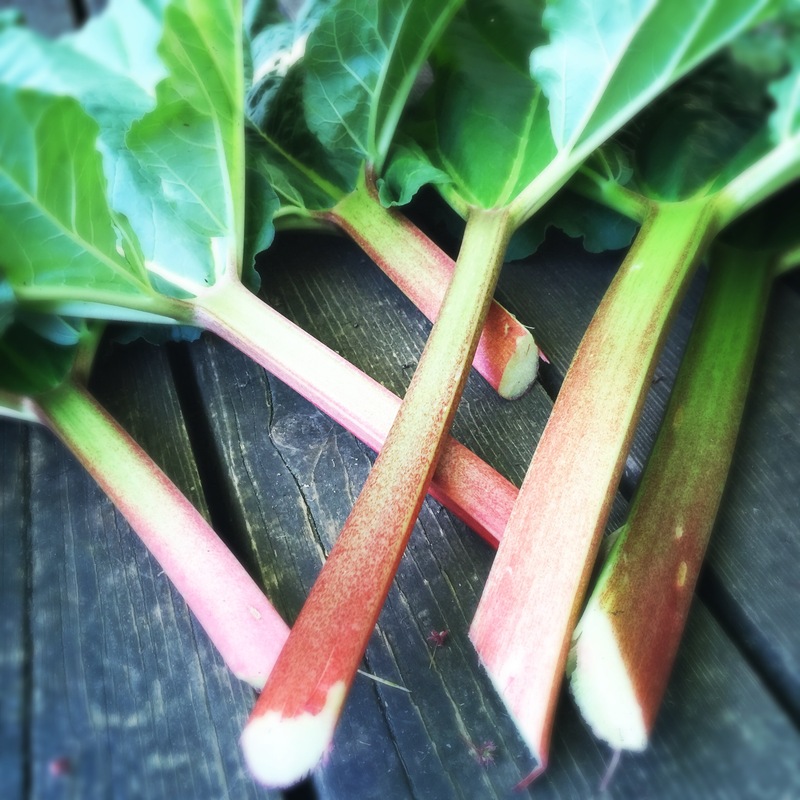 How lucky you are to have your own rhubarb crop – and I’m sure this would taste just as good with a little less sugar! Absolutely beautiful! They don’t sell rhubarb where I live, sadly. I just realized I hadn’t stopped by for awhile and when I do, rhubarb crisp! I love rhubarb, although it’s not “really” up here, it’s getting bigger! The photos are gorgeous!